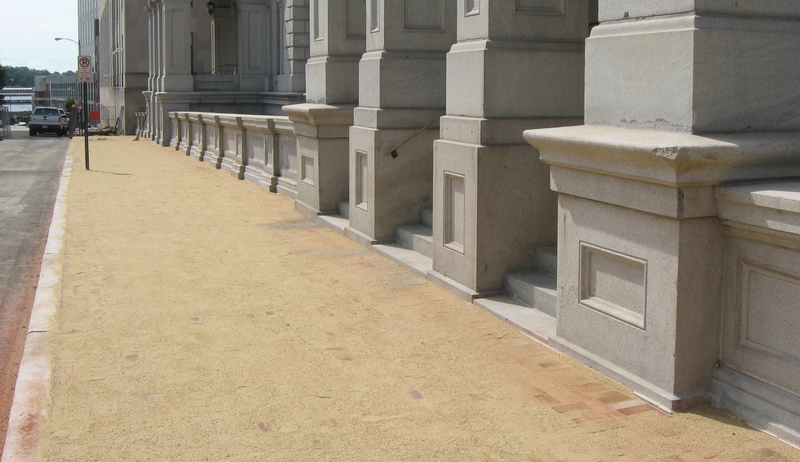 The oldest federal courthouse in GSA’s inventory, the courthouse is one of only two buildings in the historic core of Richmond to survive the 1865 fire that marked the evacuation of the Confederate Army during the last days of the Civil War. 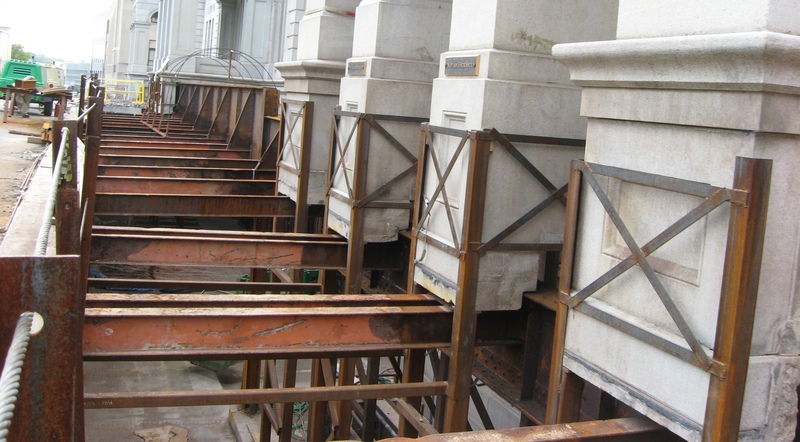 Years of water leaks resulted in severe corrosion of the concrete- and granite-encased steel structures supporting the porticoes and parking garage. A site survey was performed and a structural evaluation report was prepared, with repair recommendations. Contract documents were prepared based on the recommendations. Careful study of original building drawings and staff knowledge of early construction methods enabled Woods Peacock to gain a clear understanding of original construction sequences and load paths. 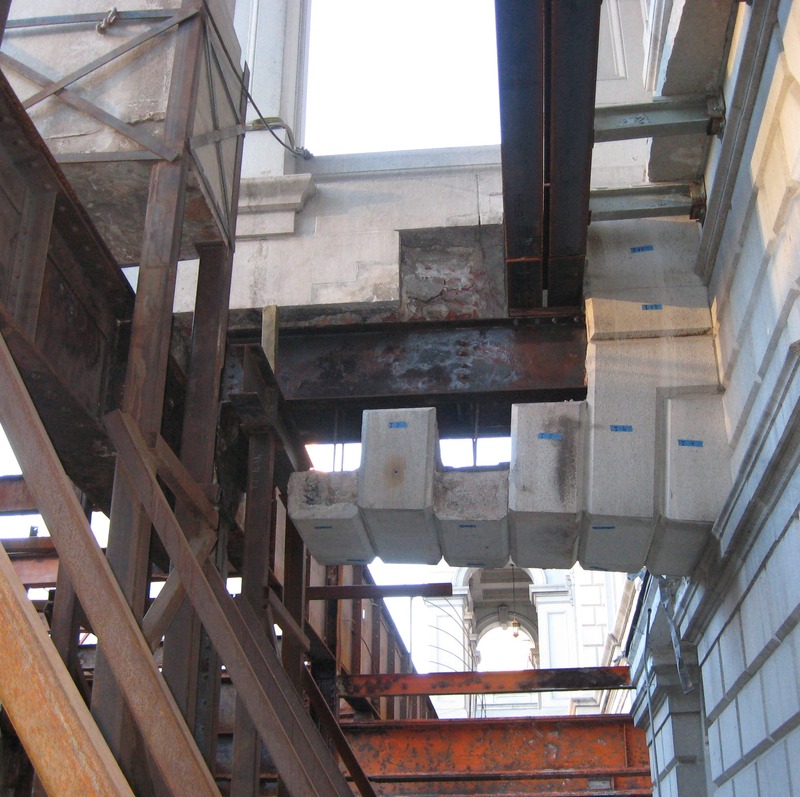 This allowed preparation of repair details and shoring guidance for walls, garage framing, and three existing porticoes. Estimated construction cost: $2.9 million. 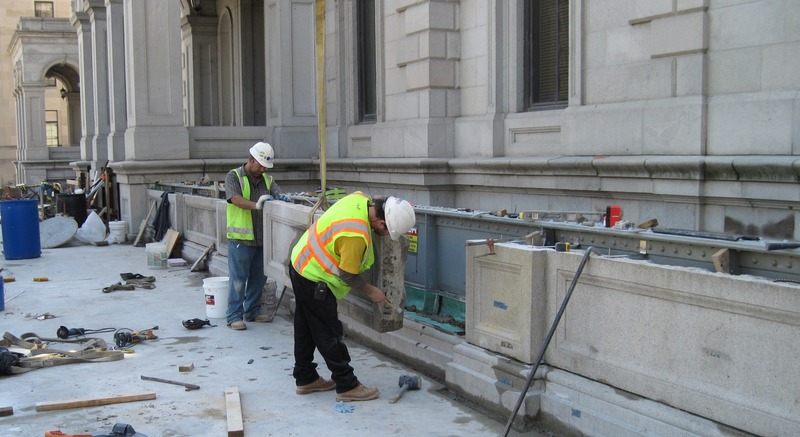 Construction administration was provided throughout construction and often required immediate site visits and quick responses to guide the General Contractor safely through the project. Additionally, on an independent project, we retained a blast consultant and defined a scope of work for a more sophisticated blast analysis on the adjacent Federal Courthouse Annex Building.